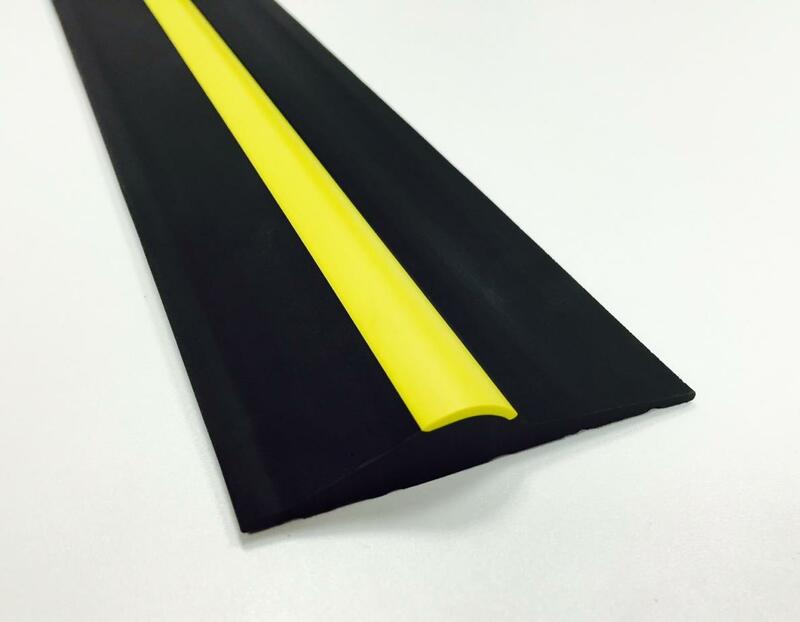 Here is our Black and Yellow Rubber Floor Seal 15mm. The 15mm rubber floor seal has been designed to help stop water ingress, leaves, dust and unwanted pests entering under your garage door. Once fitted with the adhesive sealant, it forms a water tight seal between the floor and your garage door. 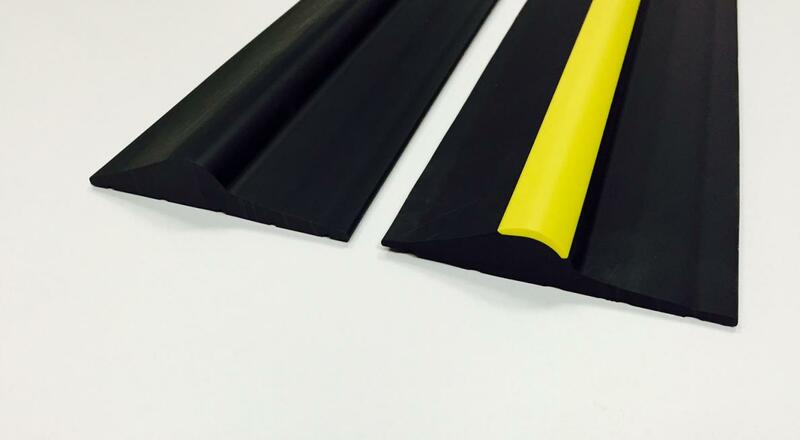 This black and yellow rubber floor seal will help keep the area clean and dry. DELIVERY (a) Whilst JA Seals will use its best endeavours to deliver according to the quotation, JA Seals shall not be liable for Any loss, injury, damage or expenses consequent upon any delay in delivery of the 15mm Black / Yellow Stripe Rubber Floor Seal. (b) Delay due to circumstances outside the control of JA Seals including delays in the supply of raw materials, fuel, labour or component parts, fire, tempest, accident, strike lockout, breakdown, or failure of plant or machinery, war, civil commotion, or government restriction, difficulty or increase expense in obtaining workmen, materials or transport or other circumstances effecting the supply of 15mm Black / Yellow Stripe Rubber Floor Seal or of raw materials therefore by JA Seals normal source of supply or the manufacturer of the 15mm Black / Yellow Stripe Rubber Floor Seal of JA Seals normal route or means of delivery shall not entitle the buyer to cancel any order or refuse to accept delivery. In such circumstances the agreed date or period for delivery shall be reasonable extended. However, JA Seals shall have the right in such circumstances to withdraw from the contract or any other part thereof without being liable for any direct or indirect loss caused thereby and not withstanding that a previous extension of time shall have been agreed. 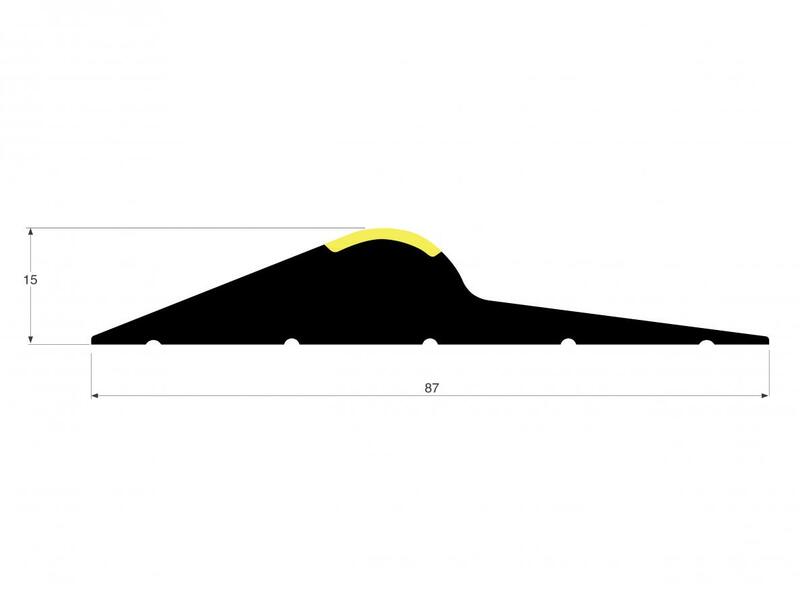 (c) Unless otherwise agreed the 15mm Black / Yellow Stripe Rubber Floor Seal shall be dispatched to the buyer's place of business but no reduction in price will be made if the buyer collects the 15mm Black / Yellow Stripe Rubber Floor Seal from JA Seals. 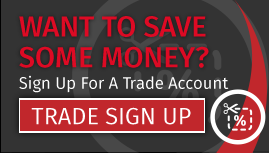 (d) Online deliveries will be a charged at the advertised rate once your shopping cart has been collated. 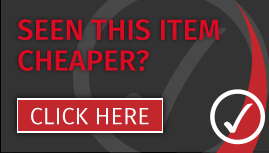 Free deliveries are all indicated as the checkout procedure is taken. Delivery costs will be calculated for various products: The Full " Hygienic Cladding range including sheet products", and all advertised "Intumescent seals"These product categories WILL have a delivery cost associated with them, this is down to the nature of the 15mm Black / Yellow Stripe Rubber Floor Seal only, this allows an accurate calculation on the cost of the 15mm Black / Yellow Stripe Rubber Floor Seal to be delivered. RETURNS (a) The company will only except returns and will offer a full refund if: The 15mm Black / Yellow Stripe Rubber Floor Seal are returned at the buyers cost in the exact condition they were sent out in. (b) All returned 15mm Black / Yellow Stripe Rubber Floor Seal are inspected on receipt and will be subject to a full inspection to ensure they are not damaged and can be resold before refunds are allocated.